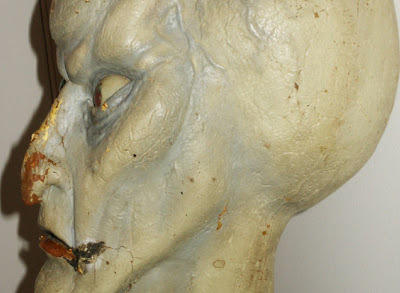 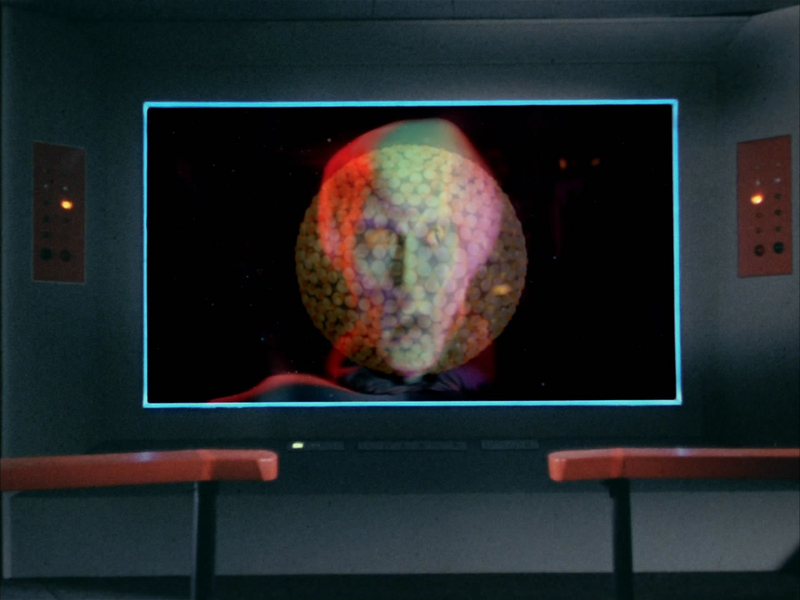 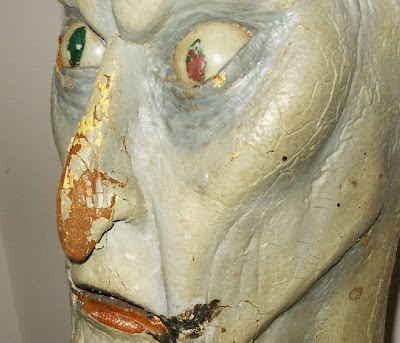 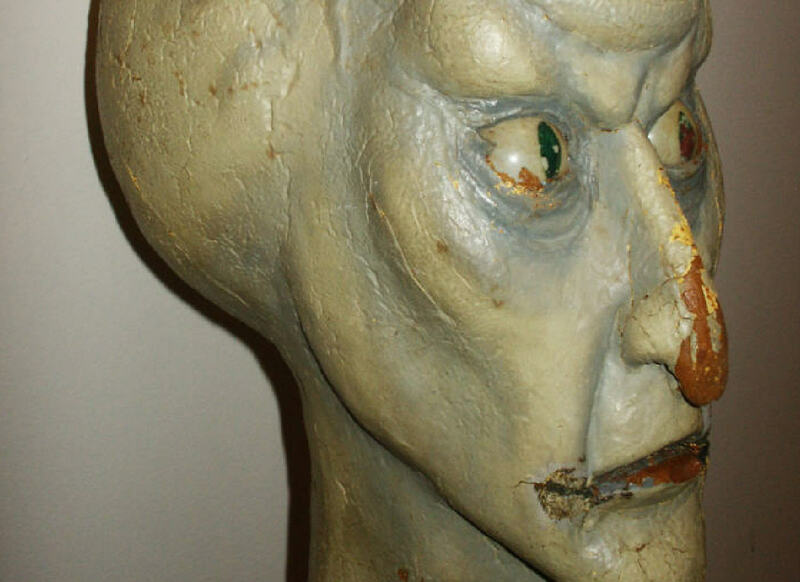 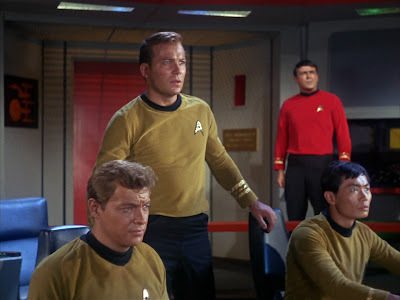 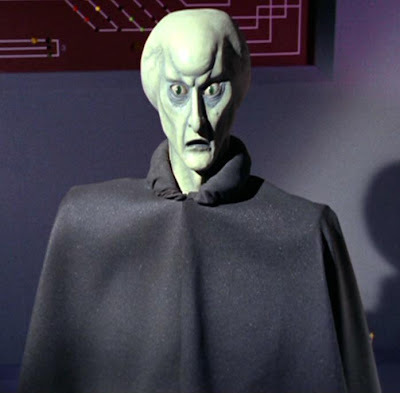 Presented below are some detailed, modern day photos of the Balok puppet head employed in the first season TOS episode "The Corbomite Maneuver" (First Airdate: Nov. 10, 1966) - a sculpture that has become one of the iconic images of Star Trek. 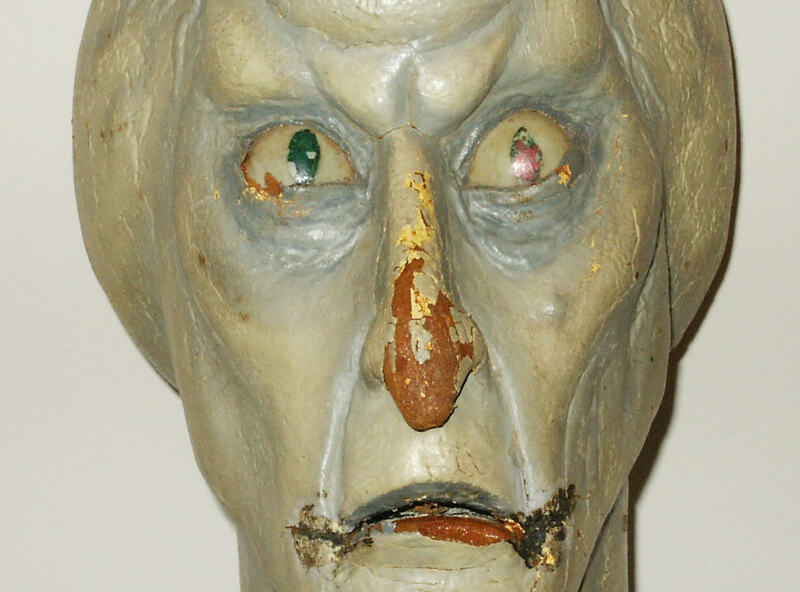 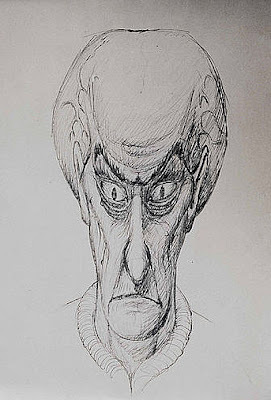 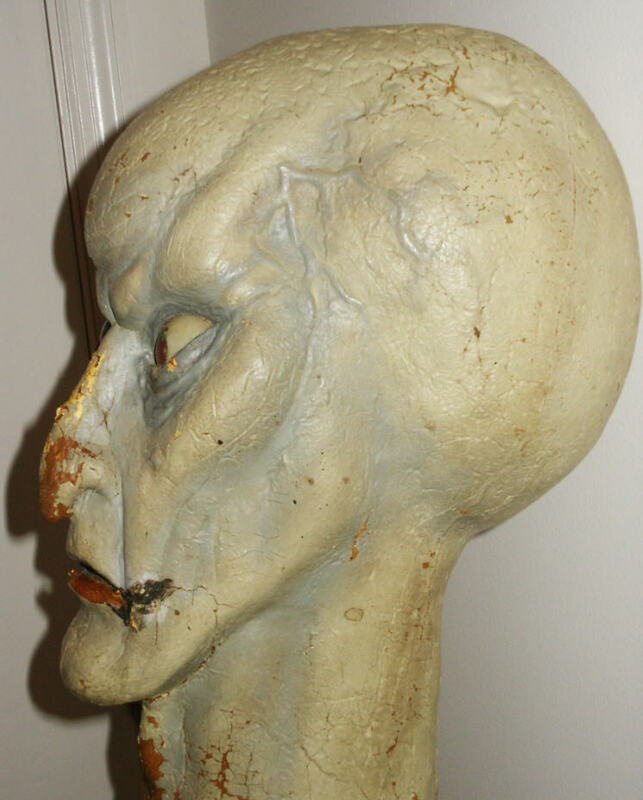 Created by the legendary artist and special effects master Wah Ming Chang, who also designed and fabricated the TOS communicator and tricorder hand props; this head was seen in the closing credits of many Star Trek Original Series episodes as the background image for Herbert Solow's "Executive In Charge of Production" credit. 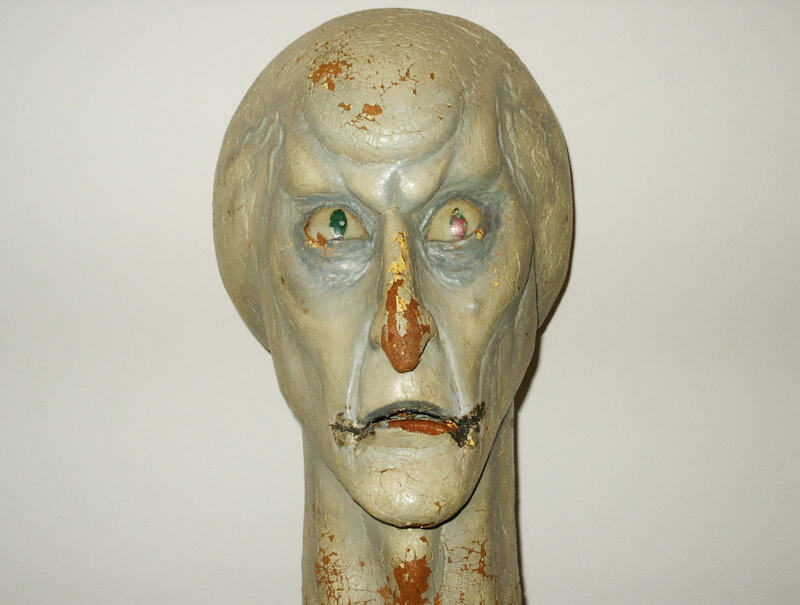 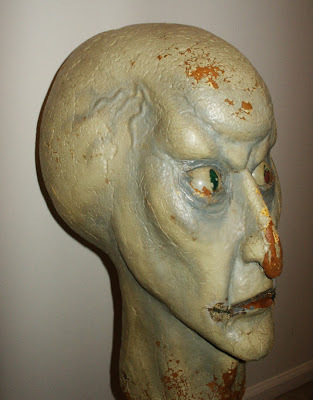 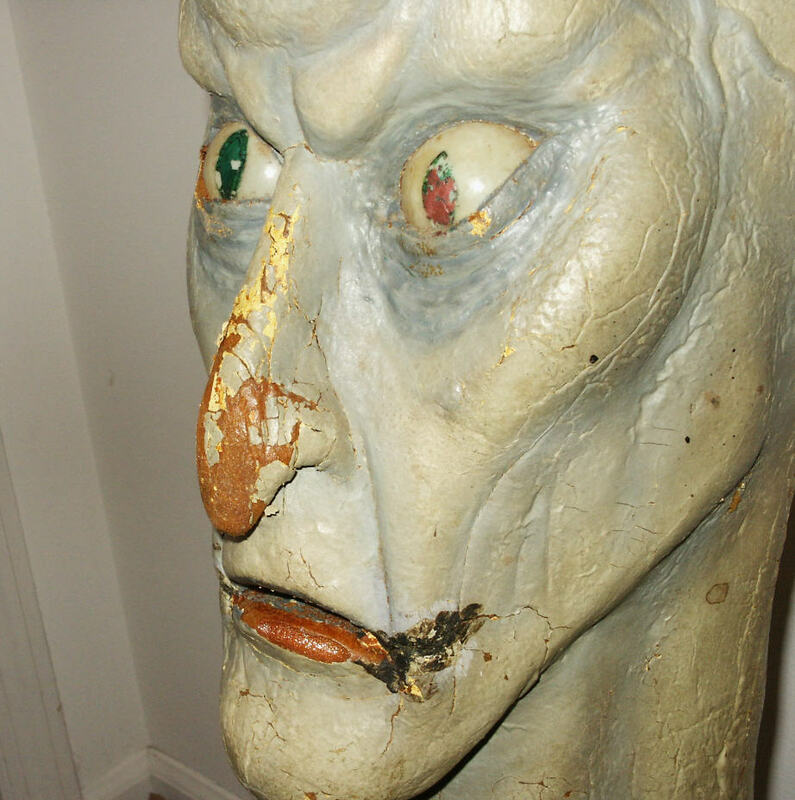 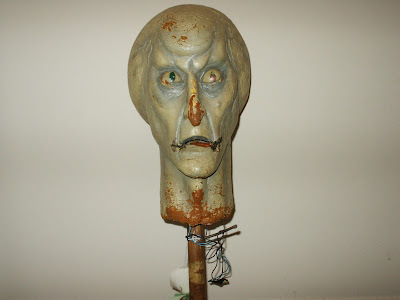 Following the modern day images are some photos of the puppet head as seen in "The Corbomite Maneuver." 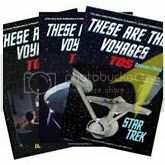 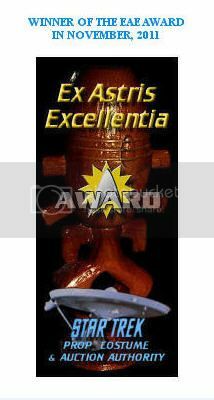 Many thanks to veteran Star Trek collector Michael in Missouri for his kind permission to display these photos.